Preservation Leadership Forum is a network of preservation professionals brought together by the National Trust for Historic Preservation. 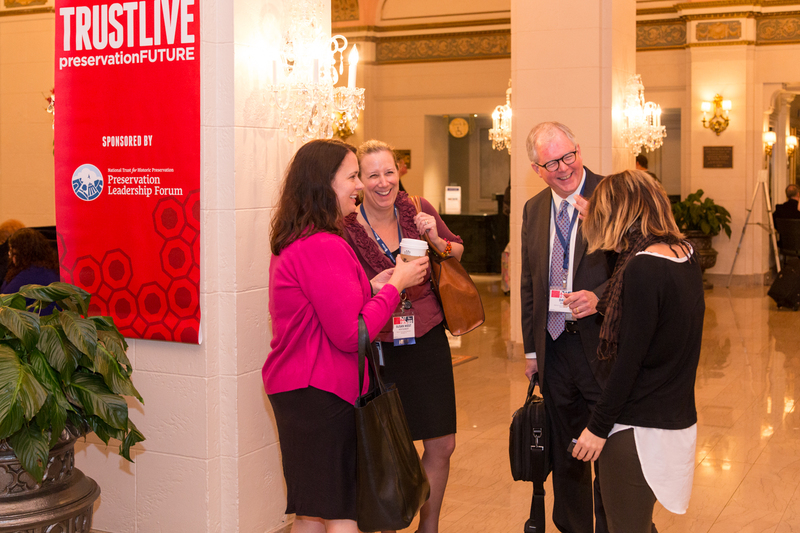 Forum provides and curates cutting-edge content, offers online and in-person networking opportunities, and brings diverse new perspectives to the business of saving places. Forum members receive immediate access to content and resources, such as the quarterly Forum Journal; priority access to scholarships for trainings; and opportunities for grant funding. Members also receive substantial discounts to the annual PastForward conference and participating hotels through Historic Hotels of America. Forum membership is not just about discounts and resources though, it’s a community for, and comprised of, preservation thought-leaders—whose voices are helping to shape the direction of the preservation movement. Already a member? Renew today. Levels include student, library, individual, and organizational. Organizational members also have access to more than $1 million in annual grant funding, and their staff and board members receive discounts on membership and PastForward Conference registration. All Forum members receive the standard National Trust membership, which includes the award-winning Preservation magazine. Forum is proud to introduce Forum Connect, a new online community for people working to save places. Anyone, preservationist or allied professional, Forum Member or non member, is welcome to join. Visit Forum Connect and start talking! If you’re interested in Forum, but not quite ready to take a more active role in the network, access old Forum Journals or watch videos from previous PastForward conferences or archived webinars to get a taste of the content Forum offers and the discussions members are having. Susan West Montgomery with preservation peers at PastForward 2015.